Pain, as defined by the International Association for the Study of Pain, is “an unpleasant sensory and emotional experience associated with actual or potential tissue damage, or described in terms of such damage”. In Western medicine, a major cause of pain is poor blood circulation due to factors such as swelling, injury bruising and tumours. However, in TCM, pain arises due to obstruction in meridians – a set of pathways in the body along which vital energy is said to flow. External causes of pain include the invasion of pathogenic wind, cold and dampness into our meridians, which causes the obstruction of Qi (energy) and blood in the meridians. Internal causes of pain include a weakened state of the liver and kidneys. Pathogenic cold is the most common cause of pain. Our internal organs are interconnected by meridians. Acupuncture involves the insertion of sterilised hair-thin needles into acupuncture points (acupoints) along these meridians. These acupoints are selected based on the specific patient’s diagnosis. Different needle lengths are used at different acupoints, and common lengths range from 13mm (half an inch) to 75mm (three inches). After inserting the needles into the acupoints, the needles can be left there for 15 to 30 minutes. Depend on the pain severity, a combination of acupuncture with cupping and/or moxibustion can be performed. Acupuncture helps the Qi and Blood flow smoothly in the meridians to achieve a balanced Yin and Yang in the organs. So acupuncture can help dispel pathogenic wind, relieve heat and clear phlegm and blood stasis. This reduces pain from muscle spasms, increases the range of joint motion, speeds recovery from injury and prevents chronic pain. 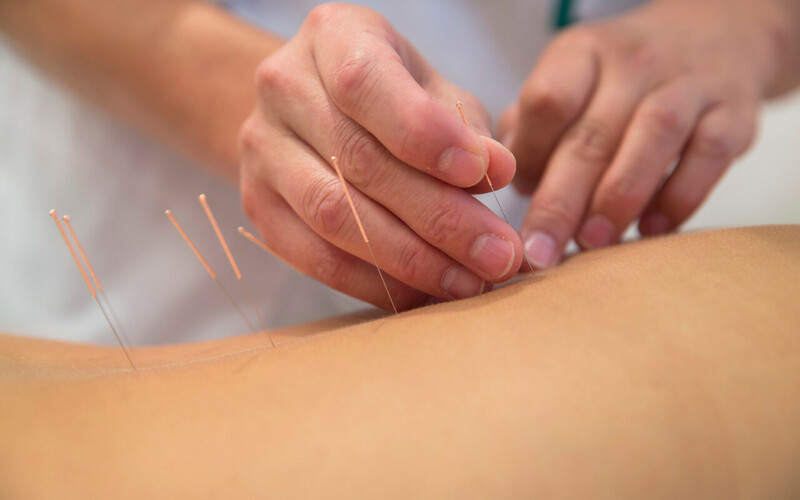 With acupuncture performed at a combination of different acupoints, pain relief is usually immediate. However, even with the help of acupuncture, you should take care of your body to relieve and prevent further pain. Avoid cold food or drinks. This prevents damage to the Yang in our body as well as obstruction in Qi and blood flow in the meridians. Treat the pain early before it gets worse. Visit a doctor if you have chronic pain problems. Exercise regularly. Simple exercises such as qigong and taiji can boost your immune system, leaving you less prone to the invasion of pathogenic wind, cold or dampness. If the pain problem is due to cold, perform moxibustion or apply some medicated oil and massage the painful spot.